The latest addition to my Neom collection is the Harmonise candle - a gorgeous, three-wicked beauty which smells of pine, cedarwood and eucalyptus. Although it's sold all year round and is not a Christmas candle, it's hard for it not to help conjure up festive thoughts when it's burning next to a Christmas tree with presents nestled beneath it. As I have an artificial tree, it's helped the Christmas spirit along no end! The aromas are very woody and menthol - you can smell them as soon as you open the packaging but not so much so that it is overpowering. It's quite an adult scent, so I was surprised when my 15 year old sister came over while I was burning it and declared how lovely she thought it was! The smell stays around long after the candle has gone out which is one of my favourite things about the candle. I can enjoy it burning while I'm at home, put it out while I'm out of the house, and the smell is still there to welcome me when I return! 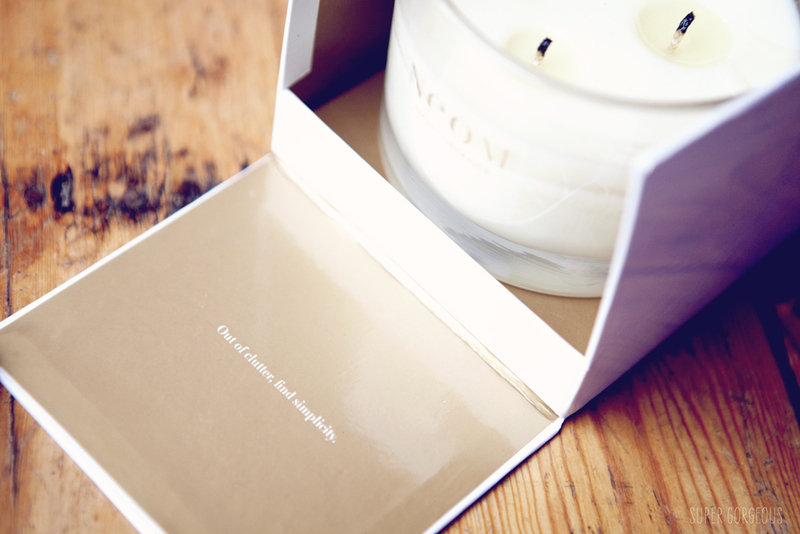 The packaging is gorgeous too - the actual candle is housed in a chunky large round glass, then that is inside a thick presentation box with one flap that flaps down saying "Out of clutter, find simplicity".... even the leaflet inside quotes Anne Frank with "Whoever is happy will make others happy too" - it's the little touches like that that bring this all together to make a wonderful, feel-good, luxurious candle. 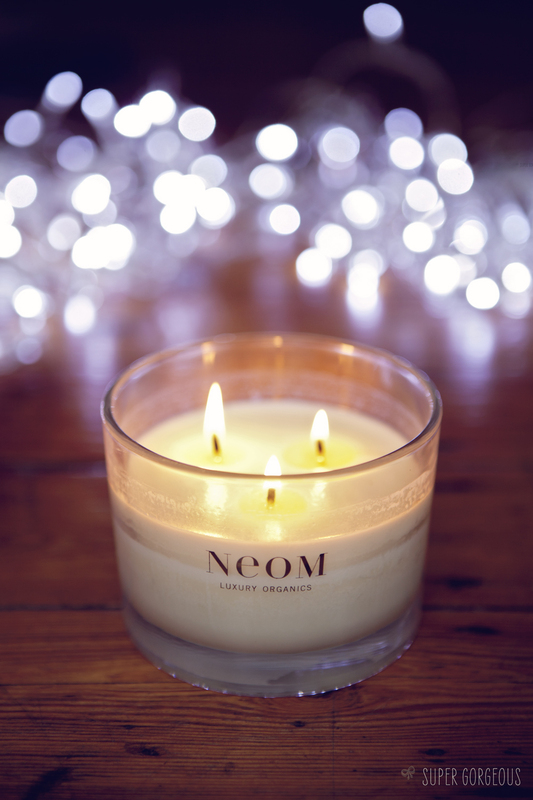 The 3 wick candles are priced at £39.50 on the Neom Organics website with 55 hours burn time. Gorgeous pics, the top one is super pretty. I adore their serenity candle.